After dealing with the soft-skinned lifestyle of Souther California, this was a welcome getaway. Want to go some place quiet, cold, and remote, then this is your place. If you like to spend time in a spa and never leave your hotel, then go some place else; you'll hate it here. Not much to do, unless you like the great outdoors(!). I plan to return. There is no dying allowed in this remote Arctic town—well, you can die, but you can’t be buried here. You heard that right: no body has been buried in the local cemetery in almost a hundred years. Why? The perpetually frigid temperatures prohibit corpses from properly decomposing. 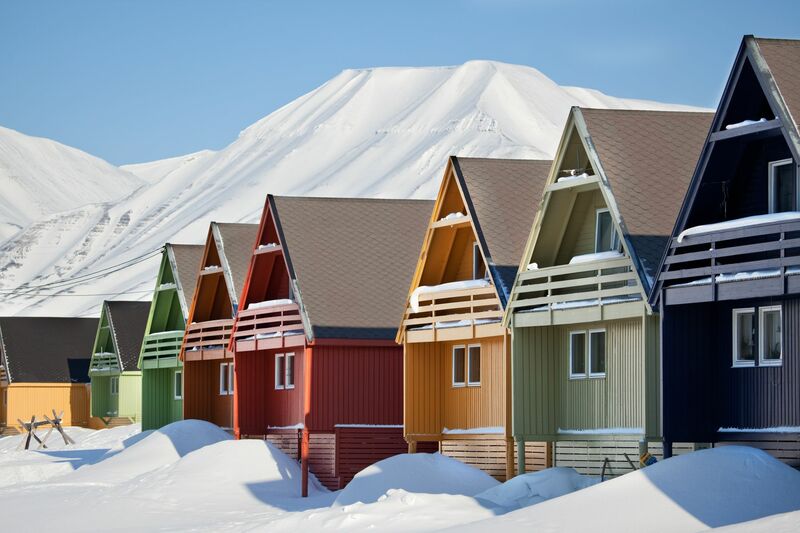 Following the influenza epidemic of 1917, Longyearbyen banned burials in the town’s graveyard. The local polar bear population rivals the human one, and it’s not abnormal for the townspeople to shoot a bear in self-defense (hunting is illegal). Even after a polar bear takes its last breath in this mining town, it must also be sent away for its final resting spot. Wonderfull place to be. Visting the old russian mines. Going around the numerous islands and see the king of this part of the globe ;the polar bear. A magnificent animal. The north side of the island is quite sescluded and difficult to reach, aside from the expensive costs. Truly a North Pole adventure!